South End Store Now Open! We are excited to announce the opening of our sunny and spacious South End Community Room on the second floor of our South End store. This space serves as a conference room for staff and board meetings, a classroom for community workshops, and a gathering space for our community members. For more information regarding our South End Community Room, please click here. Our South End Store is Now Officially Open! City Market’s long anticipated second store at 207 Flynn Avenue, Burlington is now open to the public! Regular hours at the South End store are 7am to 9pm daily with many of the same amenities the community enjoys at the Downtown store. EBT Now Accepted! We have been inspected by the USDA and are now able to accept EBT. Thank you for your patience! Throughout our over 45 year history, Members have invested in the Co-op to ensure its sustainability, growth and success. 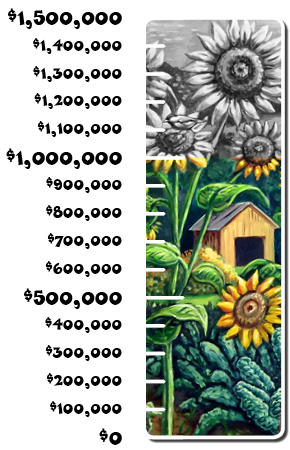 Help us raise $1.5 million for the South End store! 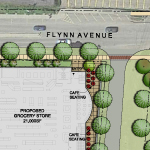 On June 30, 2015, City Market publicly announced specific plans to build a second store in Burlington’s South End on the corner of Briggs Street and Flynn Avenue. The first 6 to 12 months of this project will be devoted to some due diligence work: completing some environmental assessments, requesting zoning changes from the City of Burlington and starting the permitting process. Once that work is complete, we’ll be engaging the public to listen and gather input on the plans for the South End Co-op. Follow below for updates and Frequently Asked Questions. Burlington, VT – When City Market purchased just over 4.5 acres at 207 Flynn Avenue in Burlington’s South End, their plan was to subdivide the lot and work to sell the south parcel. The south parcel is 1.67 acres with an address of 75 Briggs Street. The Co-op started that process by issuing a Request for Proposals (RFP) last March, with a goal of closing on the property within one year of accepting a proposal. Time lapse video of one of the art muralist, Abby Manock! Time lapse video of one of the art muralist, Poppyclock Collective! A look at the parcel only months away from grand opening. Video shot and produced by Matt Benedetto of Vermont Aerial Photo. City Market, Onion River Cooperative is Burlington, Vermont’s community-owned food cooperative with over 12,000 Members. 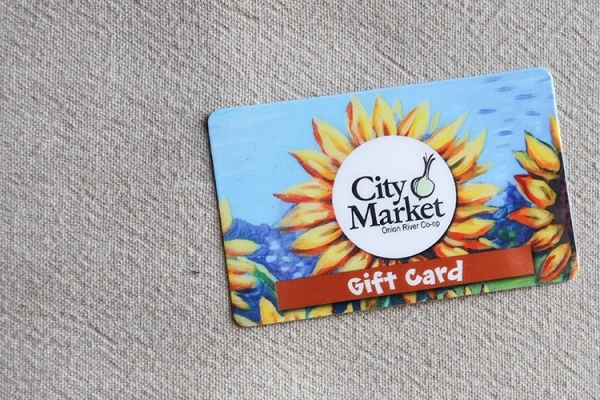 Currently, City Market is one of the largest single store Co-ops in the United States in terms of sales. Our downtown store located at 82 South Winooski Avenue is 12,000 square feet of retail space and another 4,000 square feet of office/storage space. In Fiscal Year 2016, our sales were over $41 million with an average of almost 4,500 transactions daily. City Market executed a purchase and sales agreement for property at 207 Flynn Avenue in June 2016. The approximately 4.1 acre parcel has been subdivided into two lots. City Market is in the process of building a second store with 14,000 square feet of retail space and another 9,000 square feet of offices, community space, and leased space with a grand opening planned for late fall 2017. City Market currently plans to sell the south lot of about 1.67 acres following an RFP process to understand which Vermont individuals and/or organizations might be interested in purchasing this parcel. City Market’s goal is to close on the property within one year of accepting a proposal. Deadline for submissions in response to this Request for Qualifications: Monday, May 22, 2017 5:00 PM. Submissions must be received at City Market’s physical location by this date and time, not postmarked. Submissions received after May 22, 2017 will not be considered. We’ve set aside approximately 1,074 total square feet of space outside of the entrances of the South End Co-op for locally designed murals. The Tara Goreau mural at our Downtown store continues to be well-received by Members and the community and creates a unique and welcoming entryway to the Co-op. The murals at the South End store are meant to continue the theme of making the Co-op more welcoming to all Members and customers, as well as a way to celebrate the artistry of the South End of Burlington. We asked for your help to inform us on your favotire submissions for the South End exterior art spaces. There were 9 local artists and 3 winners will be selected. Your vote helps pick the artists for your Co-op's walls! Voting ran from March 27 through April 9. City Market is excited to have celebrated the groundbreaking ceremony of our new South End location. In attendance was Burlington's Mayor, Miro Weinberger, City Market Board of Directors, and many project partners including representatives from Freeman French Freeman, Mascoma Savings Bank, SE Group, Civil Engineering Associates, Inc., Engineering Ventures, Stone Environmental, DEW Construction Corp., New England Air Systems, VHB, LN Consulting, and Pomerleau Commercial Brokerage. Stay tuned for more information and details as we get closer to our grand opening! City Market is excited to announce that on Wednesday, February 8 at 9am, we will celebrate our expansion to the South End of Burlington with a ground breaking ceremony at 207 Flynn Avenue. City Market’s General Manager John Tashiro will share updates and offer thanks to the many partners that have worked diligently on this project. The Co-op anticipates that Mayor Miro Weinberger will join the ceremony as well as the City Market Board of Directors and many of their project partners, including representatives from Freeman French Freeman, Mascoma Savings Bank, SE Group, Civil Engineering Associates, Inc., Engineering Ventures, Stone Environmental, DEW Construction Corp., New England Air Systems, VHB, LN Consulting, and Pomerleau Commercial Brokerage. After remarks, guests are invited to join staff and the Board for coffee and pastries onsite. We’ve continued to have many team meetings with our consultants, with City officials from Planning & Zoning and DPW and City Councilors and CEDO, as well as meetings with neighbors who live near our South End parcel of land. Clearly our South End store will bring more traffic to the neighborhoods near Flynn Avenue and Briggs Street. One of our many goals as a good neighbor is to do the best we can to mitigate traffic concerns and listen to the community, especially before the planned Champlain Parkway construction in this area (April 2019). Traffic continues to be the most consistent concern we hear and, to that end, we’ve made some changes to the site plan that we feel are most easily shared via video. So the Community Engagement team made a video this morning that we’re first sharing with you and then with the broader community. City Market is excited to announce that we are issuing a Request for Qualifications from artists and craft persons for three public mural projects at our second store at 207 Flynn Avenue, Burlington (at the corner of Flynn Avenue and Briggs Street)! We’ve set aside approximately 1,074 total square feet of space outside of the entrances to this new Co-op for locally designed murals. The Tara Goreau mural at City Market’s Downtown store continues to be well-received by Members and the community and creates a unique and welcoming entryway to the Co-op. Deadline for submissions in response to this RFQ: Monday, September 12, 2016 by 5:00pm (submissions must be received at City Market’s physical location by this date and time, not postmarked. Submissions received by mail after September 12, 2016 will not be considered). As part of our South End project, we contracted with VHB in South Burlington to conduct a traffic study which took into consideration pre- and post-Champlain Parkway conditions. While the study is certainly technical reading, the first part (16 pages) contains interesting information on the expected impacts a South End Co-op will have on traffic in the area of Flynn Avenue and Briggs Street. On the positive side, Briggs Street currently experiences about 200 truck trips a day. City Market’s larger delivery truck traffic will enter the store off of Flynn Avenue and exit on Briggs Street and will generally be limited to 33 larger trucks per week (a sizeable decrease). If you have questions or feedback on the traffic study, please contact Allison Hope (formerly Weinhagen), Director of Community Engagement, at AHope@citymarket.coop. City Market is growing in the South End! In 2017, Burlington’s community-owned grocery store plans to open a second location in Burlington’s South End on the corner of Briggs Street and Flynn Avenue. City Market met with community members on April 11 & 12 to discuss current plans for this store. For questions regarding these sessions, please contact Allison Hope (formerly Weinhagen) at AHope@citymarket.coop or 802-861-9750. A look at the parcel before construction. Video shot and produced by Matt Benedetto of Vermont Aerial Photo. City Market has received proposals from qualified architectural firms for professional services including design and document preparation for the proposed new market to be located at 207 Flynn Ave., Burlington, VT. The RFP responses were due on Monday, November 9 at 4pm and we are no longer taking proposals. 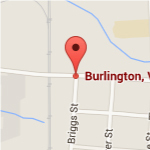 On June 30, 2015, City Market publicly announced specific plans to build a second store in Burlington’s South End. Burlington’s community-owned Co-op has signed a purchase and sales agreement with Vermont Rail System for their property at the corner of Briggs Street and Flynn Avenue, where the second store will be built. Since 2012, City Market has been working with their partners at Pomerleau Real Estate to identify appropriate land in Burlington’s South End on which to build a second store and has updated its market study twice. Both Ernie Pomerleau and Yves Bradley at Pomerleau Real Estate were integral in identifying a variety of parcels. They introduced City Market to David Wulfson and Vermont Rail System’s property at Briggs Street and Flynn Avenue and assisted in brokering the current purchase and sales agreement. Mayor Miro Weinberger shared his support of the Co-op’s growth in the South End: “Since their opening in 2002, City Market has been a great asset to the Burlington community. The cooperative model means that our residents own a successful, community-minded business that supports local non-profits, Vermont’s farmers and food producers, and our broader community. City Market’s growth will only mean a larger sphere of community support. The City looks forward to a continued partnership with the Co-op as they work to build a second store in the South End,” said Mayor Weinberger. City Market will be working on a variety of next steps including environmental assessment, permitting and zoning. As part of this process, the Co-op will also be reaching out to engage Members and the community on second store planning. “The Co-op’s intent is to create a successful and vibrant market in the South End, alleviate some of the pressure on the current storefront and create more opportunities for community support and engagement as well as employment with above market wages and benefits,” says John Tashiro, City Market’s incoming General Manager. About City Market, Onion River Co-op: The Onion River Co-op is a consumer cooperative, with over 11,600 Members, selling wholesome food and other products while building a vibrant, empowered community and a healthier world, all in a sustainable manner. Located in downtown Burlington, Vermont, City Market provides a large selection of local, organic, and conventional foods and thousands of Vermont-made products. 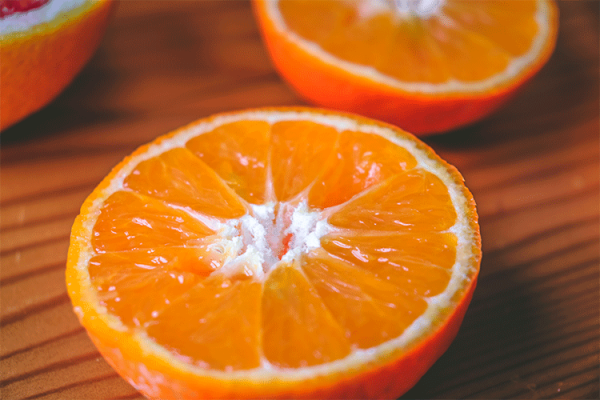 Visit City Market, Onion River Co-op online at www.citymarket.coop or call 802-861-9700. When will the South End Co-op open? Our current timeline assumes that we will break ground in December 2016 (we did!) and have a grand opening celebration in late fall 2017. How large will it be? The current plans call for 14,000 square feet of retail space on the first floor (compared to 12,000 square feet at our Downtown location), plus additional space on the ground floor for prep and staff areas. The plans also include a "mezzanine" style second floor for offices, staff spaces, community meeting space, a teaching kitchen, and some separately leased mixed-use space. We have also planned for approximately 108 customer parking spaces (compared to about 60 at our Downtown location), 72 bike parking spaces (most covered), pedestrian friendly access, lots of outdoor cafe seating, larger community bulletin boards, an outdoor living wall and a children's discovery garden. How will the South End Co-op affect traffic? As part of the City of Burlington's permitting process, City Market contracted with VHB of South Burlington to conduct a traffic study that takes into account a South End Co-op, both with and without the Champlain Parkway. This traffic study was completed last April and can be found above. Our plans include increased opportunities for bicyclists and pedestrians to access the Co-op in a safe manner (with plenty of paths, bike parking and green space) in the hopes that this will continue to incent customers to find other ways to access the store. The most recent use of the property (Vermont Rail System and Barrett's Trucking) included heavy truck traffic on Briggs Street; our draft plans have car traffic using Briggs Street for access to the Co-op and truck traffic using Flynn Avenue for access. Will the South End Co-op have a big enough parking lot? We completely understand that there are opportunities for improvement with our Downtown store's parking lot and it’s certainly not a situation we want to repeat in a South End location. In hindsight, we don’t think we could have improved the parking too much in the current location given the building envelope of the parcel and the size of the downtown site. In this area of the South End, zoning rules allow for 3.75 parking spaces per 1,000 gross square foot of store space. With plans for about 31,000 gross square feet, we're planning to incorporate almost all of the 114 parking spaces allowed. Why aren’t you expanding to Winooski or the Old North End? We recently announced that we're working on plans to open a Co-op in the Old North End in the spring of 2018! You can read more about that project here: http://www.citymarket.coop/oldnorthend. The main goals of our second store planning were to alleviate some of the pressure on our Downtown location and find a second location that could sustain a market that’s a bit larger than our current one. As the Co-op expands, we have a continued and growing ability to affect positive change and benefits on the greater community. We acknowledge that there are unmet needs in Winooski (and other areas of the greater Burlington area) and we have an interest in continuing to look for property that’s the right fit for City Market. What happened to the buildings/tenants that used to reside on the South End parcel? The prior property owners, Vermont Rail System, leased out space to a few retail shops. The buildings and salt sheds that were on the property have been removed and the tenants have relocated. 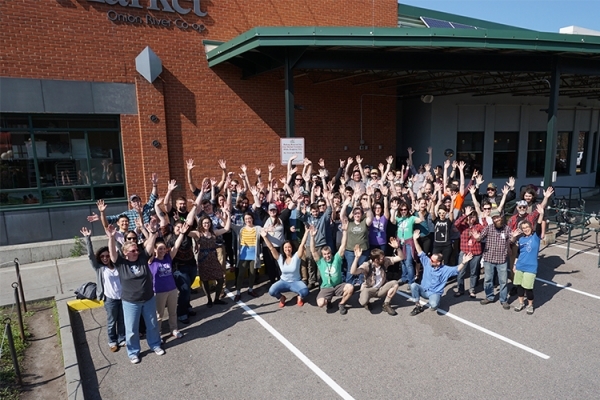 City Market staff and our team of contractors and consultants have spent much time and energy since our announcement in June of 2016 devoted to due diligence work: completing environmental assessments and mitigation plans, requesting zoning changes from the City of Burlington and completing the permitting process. Our South End project partners include Freeman French Freeman as our architects and DEW Construction Corp as our construction managers; in addition, we have a close relationship with Pomerleau Real Estate. When will we have an opportunity to provide input? At this point, City Market staff have visited every Burlington Neighborhood Planning Assembly at least once, and visited Ward 5 three times. We've met with smaller groups of stakeholders, artists, residents and businesses in the South End. In all of these instances, we've shared the draft plans and listened to feedback from the community. We also held two larger community engagement sessions at Switchback Taproom in April 2016. You can see the video presentation from those sessions above. Is your question not answered here? Please contact Allison Hope (formerly Weinhagen), Director of Community Engagement, at AHope@citymarket.coop or 861-9750. Many factors can impact the project schedule. At this point we are working toward these milestones, with the intent of opening the South End Co-op in Fall 2017.